The domestic air mail rate was six cents from July 1, 1934 until March 25, 1944. 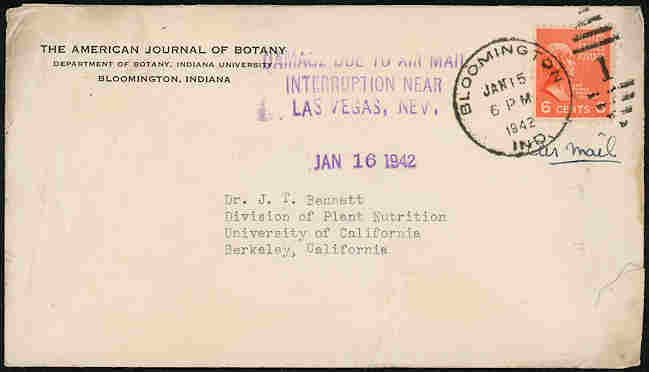 This included domestic post cards sent by mail. 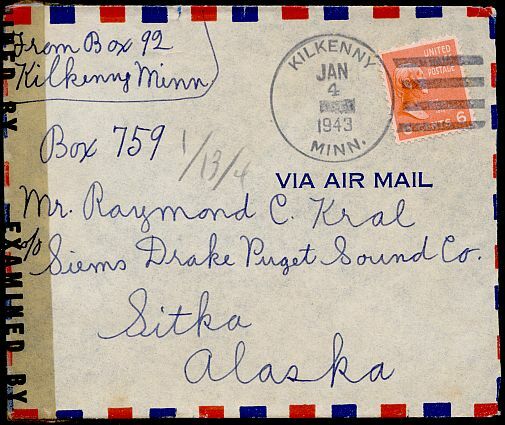 This correspondence was sent from Minnesota to Alaska in 1943 and was subject to censorship, as was mail to and from Alaska in general during World War II. Air mail carried on TWA Flight 3 which crashed into a sheer cliff on Potosi Mountain shortly after takeoff from Las Vegas on January 16, 1942, killing all crew and passengers, including movie star Carole Lombard.